This translation of Hans Blumenberg’s posthumously published text “Moses the Egyptian” offers the Anglophone world insight into a political aspect of Blumenberg’s thought that remains obscured within his other translated works. Blumenberg’s discussion of Freud’s Moses and Monotheism and Arendt’s Eichmann in Jerusalem evinces a skeptical stance towards any rigid belief in the power and persuasiveness of truth. Blumenberg proves highly critical of Arendt’s assessment of the Eichmann trial. He disagrees with her analysis, arguing that it fails to discern the symbolic and mythical aspects of the trial. According to Blumenberg, the political core of the event was in fact a mythical act of state-founding, which Arendt’s analysis of Eichmann as a family man or buffoon neglects. Thus, according to Blumenberg, Arendt lacks the political vigor necessary for understanding what was taking place at that symbolic moment in history. Blumenberg’s own view, however, leads to the difficult question of whether the political use of myth can ever be legitimized at certain critical moments. He does not answer this question nor does he offer any tools or strategies by which to distinguish a rightful use of political myth from a harmful one. It is difficult to imagine contemporary German academic life without the name Hans Blumenberg. This is not to say that Blumenberg has shaped the academic context or its institutions; rather, it refers to Blumenberg’s presence in current discussions. In contrast to his contemporaries such as Hannah Arendt, Theodor W. Adorno and Jacques Derrida, Blumenberg’s presence is a posthumous one. Although he had a central role in the group Poetik und Hermeneutik, gave lectures, contributed to newspapers and other publications and corresponded with Carl Schmitt, Jacob Taubes, Siegfried Kracauer, Hans Robert Jauss and other prominent figures, he was never a public intellectual. He distanced himself from public debates and avoided making pronouncements of his opinions. This public reticence was likely an important factor in the delayed reception of his work, especially in the Anglophone world. Unlike with Jürgen Habermas, for example, Blumenberg’s work has had to speak for itself, solely on its own terms. Nonetheless, Blumenberg’s work offers reasons not only for why his thought was undervalued during his lifetime but also for why it has become so enthusiastically received and engaged today. First, Blumenberg’s work is characterized by a certain inaccessibility. His main works are bulky, with chapters that are often so erudite as to overwhelm an interested reader; moreover, his texts generally do not immediately identify what exactly is at stake, what question is being addressed or what central claim is being made. Readers of Blumenberg will find that they receive descriptions rather than definitions. His style is idiosyncratic and the implicit references within his texts are manifold. This renders him a philosopher who resists any quick or easy usability. Nonetheless, his work is rich and meticulously elaborated, thereby offering many leads to different traditions. Indeed, Blumenberg contributed to the fields of phenomenology, history, philosophy of technology and philosophical anthropology. He published on literature and aesthetics and developed a theory of metaphor; he remains an important voice in the debate concerning secularization and, in recent years, the political aspects of his thought have gained increasing attention. During the last years of his career, Blumenberg appears to have focused exclusively on the elaboration of his archive rather than on publishing finished texts. The image of an archive as a sort of rich, untapped mine of undiscovered gems has certainly helped to foster his present-day popularity. As Ahlrich Meyer notes, since “his death in 1996, more books have appeared under his name than he published between 1960 and 1989” (71-2). Against this background, the translation of Blumenberg’s Rigorism of Truth finds its place. First published in German in 2015, Rigorismus der Wahrheit is one of Suhrkamp’s many posthumous Blumenberg publications. These publications generally share a comparable strategy: a contemporary Blumenberg scholar brings together particular texts or discovers notable fragments or unfinished texts in the Blumenberg archive in Marbach; these discoveries resonate with important aspects of Blumenberg’s thought, and the subsequent publication will include an extensive and elucidating afterword by the editor. Nicola Zambon, for example, brought together Blumenberg’s writings on phenomenology from the 1980s, Anselm Haverkamp compiled a volume of Blumenbergs aesthetic and metaphorologic writings, Ulrich von Bülow and Dorit Krusche collected unpublished fragments concerning central water metaphors such as ‘source’ and ‘stream’, Angus Nicholls and Felix Heidenreich published a chapter that Blumenberg had originally withheld from his Work on Myth and Alexander Schmitz and Bernd Stiegler presented an edition of Blumeberg’s writings on technology and re-published Blumenberg’s contributions on literature as well as unpublished essays and lectures. Ahlrich Meyer, who worked with Blumenberg in Münster, has done the same for Rigorism of Truth, collecting from the archive Blumenberg’s text “Moses the Egyptian” along with his preliminary studies and other thematically related texts. Along with Nicholls and Heidenreich’s discovery of Blumenberg’s chapter on ‘prefiguration’, Rigorism of Truth has been received as a critically important text revealing Blumenberg’s political interests. It gives insight into certain more articulated political views that remained hidden during his lifetime. When Blumenberg published Arbeit am Mythos in 1979, the absence of any discussion of myth in political terms immediately stood out. Moreover, he has been criticized for the rehabilitation of myth and for his mainly literary understanding of culture. It is striking indeed that Blumenberg discussed myth in the aftermath of the Second World War, referring to Goethe, Kafka, Freud and many others without mentioning Hitler or the political dangers of myth. In contrast to Cassirer, Arendt and Adorno, Blumenberg appears not to have aspired to an understanding of ‘the relapse into myth’ during National Socialism. His book reads mostly as a defense of myth against the overly rigid distinction between mythos and logos. This is even more surprising given that Blumenberg himself was targeted by the Nazi regime. The revelations from the Nachlass, however, spurred researchers to study the subtext of Blumenberg’s work and bring out its implicit political meaning. 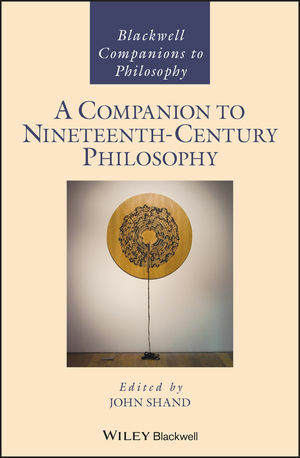 As it is a general characteristic of Blumenberg’s style to remain at a distance, displaying a “sense of irony” (93) and embarking on various intellectual detours rather than addressing a topic directly, this approach has been fruitful in articulating the more hidden political aspects of Blumenberg’s work. The English translation of Rigorism of Truth opens this ‘political Blumenberg’ to the Anglophone world. In “Moses the Egyptian”, Blumenberg not only draws attention to the importance of myth in the realm of politics, but also directly addresses Judaism and Zionism. Angus Nicholls thus calls this text “without doubt one of the most personal and revealing texts to have emerged from the Blumenberg Nachlass” (Nicholls 2016, 31). Moreover, the publication offers interesting insights into Blumenberg’s style and his method of working. Ahlrich Meyer’s elucidating footnotes indicate the range of materials that Blumenberg incorporates into his texts. “Moses the Egyptian” itself counts only 12 pages, but Meyer adds 100 footnotes tracing the text’s many sources. The first paragraph, for example, contains 15 footnotes. To be sure, continually turning to these notes and references can interfere with the work’s readability; nonetheless, they are valuable, as they provide necessary background information that both explicates several implicit references and contributes to a fuller understanding of the text. Moreover, the excerpts and preliminary studies following “Moses the Egyptian” underscore the extensive work Blumenberg conducted before he condensed his findings into a single text. This sheds a light on how Blumenberg used the card-index files that he filled with citations, excerpts, comments, and reflections. At the end of his life these files contained over 24,000 cards. From this ‘treasury’ he compiled lectures, chapters and books. 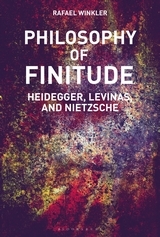 As Meyer remarks, “[a]ny reader wondering why these books often seem to make so many leaps and are full of unexpected connections, why their author largely dispenses with the linear development of his thoughts […] will learn […] that Blumenberg’s oeuvre is the product not least of the ingenious architecture of his card files” (72). Likewise, the picture of the first pages of Blumenberg’s reading log for 1978 sheds additional light on his way of working, as well as revealing his zest for work. It would appear that, between January 6 and March 5 of that year, Blumenberg read, or at least engaged with, no less than 31 books. Rigorism of Truth thus not only offers a more personal and political Blumenberg; it also gives his readers a look into his method. What is central in Blumenberg’s “Moses the Egyptian” is a critical stance towards both Sigmund Freud’s Moses and Monotheism and Hannah Arendt’s famous discussion of the Eichmann trial in her Eichmann in Jerusalem: A Report on the Banality of Evil. As the title Rigorism of Truth immediately suggests, Blumenberg recognizes a certain shared rigorism at work in the publication of these two books. Moses and Monotheism was published in 1939, shortly after the pogroms of 1938 and “at the apex of Hitler’s power”, during a period when “the number of Jews expelled from Germany and Austria rose sharply” (12). Freud himself had just been forced to flee Vienna for London, and it was at this crucial moment that he issued his analysis of Moses, “depriving the Jews, in their most dreadful hour, when everything was being taken from them, of their best man” (2). According to Freud, “Moses had in fact been an Egyptian, who had transmitted to the Jewish people the monotheistic cult of Akhenaten” (12), after which, in an act of patricide, the prince was killed. This led to Freud’s famous hypothesis that Moses was not actually a Hebrew but rather the Egyptian slain father of Judaism. Moreover, the memories of the Jewish people were “devised to cover up the murder of the cultural hero” and “became the source of a ritualized self-punishment, whose forms and obligations […] were to anticipate the singular organization of the art of survival that bestowed upon the Jews the ability to withstand all future desert and captivities” (4). Freud recognized the controversial potential of this hypothesis, even noting that he did not “like offending” his “own people” (12), but published the book nonetheless. Blumenberg, rather than looking for some suppressed or secret hatred against Freud’s “fellow men” (12), recognizes in him “no other motive to justify this publication but the absolutism of truth” (3). Despite the historical situation, Freud clung to science and his “love of truth”, “even when it was uncomfortable and unpleasant” (12). Moreover, in the psychoanalytic scheme concerning resistance, the anticipated inconvenience following from his study may have encouraged Freud’s endeavor, as the “general premise for resistance as a criterion might be [this]: what people gladly accept cannot be the truth” (59). And in light of the many conflicts and trials in the history of science it is understandable to think that “the power of truth” grows “stronger even in the face of resistance” (59). For Blumenberg, Hannah Arendt’s book was the result of comparable convictions, not least as she published her controversial analysis at a symbolic moment as well, risking much in the name of truth. According to Blumenberg, “She believes in the truth – that is her truth, she can neither change nor prevent” (5). A critique of this rigorous belief in the truth is a first important argument in Blumenberg’s text. As he writes, “(n)othing is less certain than that the truth wishes to be loved, can be loved, should be loved” (3). Or put more sharply: “There is no love of truth. Maybe because there can be none” (5). Throughout his career, Blumenberg contended with the question of ‘truth’. Mostly anti-Platonic, he defended a skeptical position that would be sensitive to the rhetorical efforts necessary to afford truth its privileged position. Already in 1957, Blumenberg published a text concerning ‘light’ as the metaphor of truth in Western thought. As the title Rigorism of Truth indicates, his distanced stance towards “the absolutism of truth” (3) is also present in his discussion of Freud and Arendt. Amongst the many ‘absolutisms’ opposed by Blumenberg’s philosophical analyses – including ‘reality’, ‘rules’, ‘the master’, ‘dreams and wishes’, ‘reason’, ‘institutions’, and ‘being’ – is the absolutism of truth. He works against what he describes as one of the most “intimate convictions of European history”, namely, “that the truth will triumph” (57). This critique corresponds with Blumenberg’s attention to myth, metaphor, and rhetoric. In his work, Blumenberg draws attention to other aspects of human culture which can serve a legitimizing function, carry a certain rationality or have laws of their own. In setting a Platonic trust in truth, these aspects can be neglected and become dangerous. In contrast to what Arendt seems to suggest in her Truth and Politics, Blumenberg answers the question “Must one always tell the truth?” with “Surely not” (51). And this immediately is Blumenberg’s main concern as regards Arendt’s analysis of Eichmann: “What Hannah Arendt does not understand about the whole Eichmann trial is the veiled tendency to provide the Israeli state with a founding myth” (47). In other words, her determination to reveal the truth and the ‘real’ character of Eichmann leads her to ignore other, perhaps more important dimensions of the Eichmann process. The pre-occupation with (scientific) truth thereby becomes the opposite of what it proclaims to be (clear-sightedness, proof, right) and becomes the irrationality which it avows to eradicate. In this respect, Blumenberg’s text on Freud and Arendt can be read along familiar lines of his other work. However, as he develops his central argument concerning the rigorism of truth, Blumenberg also adds several other notable ideas. Unlike in his discussion of Freud’s Moses, Blumenberg engages critically with Arendt’s Eichmann. He disapproves of Freud’s ‘love for truth’, his rigidity and his timing, yet does not criticize Freud’s hypothesis that Moses was an Egyptian, a hypothesis that challenges the origins of Judaism. In stark contrast, however, Blumenberg fundamentally calls into question Arendt’s analysis of Eichmann as a buffoon (Hanswurst). In the years since publication of her book, many have argued against Arendt’s characterization of Eichmann. Bettina Stangneth, in her Eichmann Before Jerusalem (2014), gathers information which convincingly shows that Arendt was misled. As Felix Heidenreich writes, “Eichmann was all but stupid; in contrast to Arendt’s analysis we now have good reasons to consider him a vicious murderer and liar” (Heidenreich 2015, 532). Blumenberg’s critique, however, is not an effort to undermine Arendt’s claim of the ‘banality of evil’ by showing that Eichmann was actually a sort of Iago or Macbeth, someone permeated by diabolic or demonic evil. On the contrary, as concerns Arendt’s characterization of Eichmann, Blumenberg seems to agree. He has “all respect for the rightness of such considerations” (8) and calls them “[h]istorically justified” (48). However, whereas Arendt seeks to reveal Eichmann as “the petit bourgeois run wild” (50), Blumenberg brackets Eichmann’s real character and points to the symbolic function of Eichmann as a “scapegoat” (51), labeling him Israel’s “negative founding figure” (50). Nonetheless, it is questionable whether Arendt was indeed insensitive to this dynamic and more likely that she decided to oppose it. Yet Blumenberg’s reproach is that she did not offer any account of the symbolic aspect of the trial, this “mythical necessity of archaic violence” (46). What was at stake politically in the Eichmann trial was precisely Eichmann’s “entering the national myth as the vanquished necessary enemy” (9). For Blumenberg, this proves that Arendt was “completely unsensitive to the political” (47). Herewith Blumenberg’s rhetoric comes into play. For example, he recalls that in her famous interview with Günter Gaus, Arendt proudly characterized herself as a political thinker, not a philosopher (6-7, 9, 46-47). Blumenberg goes on to claim that she missed the political core of the trial: “Hannah Arendt had completely failed to recognize the cathartic significance of the official act getting the man guilty of genocide” (45-46). Moreover, according to Blumenberg, Arendt not only neglected what was happening politically – a mythical act of state legitimization – but also worked against it. It may be perfectly correct that Eichmann was a clown and buffoon; however, regardless of his actual character, in his political function of being transfigured into the “negative founder of the state” (10) he cannot at the same time also be turned into “a figure of ridicule” (11). As Blumenberg states, “[O]ne cannot have both at once: the analysis and the myth” (9). As in his Work on Myth, Blumenberg’s text highlights the importance of mythical dimensions for the understanding of human existence. In this specific case, he argues that one cannot understand politics without acknowledging the mythical aspects that shape and legitimize it. He even goes a step further, suggesting that scientific truth and the attempt of objective analysis is often powerless against “what is necessary […] in a mythical sense” (8). This analysis immediately raises several questions. Does this mean that political myth is necessary and legitimized? Does this convert all politics into a post-truth politics? Does this eradicate the possibility of distinguishing between a ‘good’ and a ‘bad’ political myth? Or does this mean that, in this specific case, at that specific moment of history, Blumenberg thought it was merely “a precarious nation-state” engaged “in the creation of its own political myth” (Nicholls 2016, 30)? Rigorism of Truth yields no answers here and it remains doubtful whether we can accurately deduce that Blumenberg thought it was right and just that Eichmann was used as a scapegoat. The text resists such direct interrogation. Blumenberg instead shows himself as a philosopher who prefers understanding over judging. He avers: “One may be fervently opposed to this ritual; but first one must have understood what it means to the others [i.e., the victims and witnesses] and to what insignificance this meaning condemns one’s criticism” (8). In this line, Blumenberg does not argue against Arendt in order to defend the Eichmann trial as a legitimate act of state-founding. Rather, he opposes Arendt because of his different analysis of the political situation. From this perspective, he does not particularly defend myth against the rigorism of truth via a position in the old tension between mythos and logos. Instead, he suggests that when we want to understand politics, we cannot let ourselves be blinded by rigid belief in the power of truth and science. We must take the symbolic and mythical side of things seriously. Nonetheless, scholars have interpreted the text as being more personal than that. Although his politically charged chapter on Präfiguration clearly shows that Blumenberg cannot simply be read as an advocate for the political use of myth, Heidenreich, Nicholls and Meyer seem to suggest that, in this particular case, Blumenberg defends the political use of myth. As Heidenreich summarizes: “Exposed to imminent threat, questioned by many states in the region, desperately trying to integrate Jews coming from all the corners of the earth, the young nation of Israel needed a political myth, Blumenberg claims” (Heidenreich, 532). In this context, Ahlrich Meyer refers to Blumenberg’s being a Halbjude per “Nazi racial doctrine” and states that Arendt’s Eichmann in Jerusalem “must have hurt him quite considerably” and that his text “Moses the Egyptian” reveals “that an interest in Judaism was a hidden constant in his life” (93). 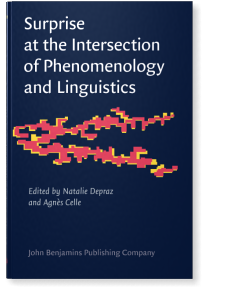 Nicholls calls the text “a life-expression in the deepest sense” (Nicholls 2016, 32). He writes that the themes “touched him personally as a German of Jewish ancestry” and that “Moses the Egyptian” raises the question of whether there are “exceptional circumstances – such as, for example, the need to create a Jewish homeland in the wake of the Shoah – under which the deployment of political myth is unavoidable and for that reason defensible” (Nicholls 2016, 10). Blumenberg indeed refers to ‘a state of exception’ from which legitimacy emerges, seemingly justifying the way in which the trial was addressed. Yet, when using that word, Blumenberg concludes that this ‘state of exception’ was called upon, instead of appealing to a state of exception himself (7). His assessment of “Moses the Egyptian” remains ambiguous. On the one hand, his argumentation need not be a defense or a theoretical legitimation. It can be read as an argument from within the mythical logic that was deployed in order to better understand the situation, without deciding in its favor. For this reason, one should be careful in equating the argumentation in “Moses the Egyptian” with Blumenberg’s own assessment of the situation. On the other hand, Blumenberg’s text draws attention to the mythical, which in this case is the perspective of ‘the young nation of Israel’. Thus, it is arguable that Blumenberg’s harshness and often pointedly ironical formulations show a concern which is in fact beyond philosophical analysis and understanding. Bajohr, for example, notes that Blumenberg’s judgement of Arendt “is so unfair that it can almost only be explained by a deep offence of his own identity” (Bajohr 2015, 55). He places Blumenberg next to other “mostly Jewish critics of Eichmann in Jerusalem”, arguing it is difficult to maintain Christian Vollers’s claim that Blumenberg “has probably never been a convinced Jew” (Bajohr 2015, 57). Yet biographical explanations – especially regarding an unpublished text of a thinker who is difficult to characterize – tend to remain suggestive and speculative. Moreover, beneath the central argument by which Blumenberg rejects Freud’s and Arendt’s rigorism is yet another argument complicating the issue. In discussing Arendt and her findings that Eichmann’s knowledge of Judaism was derived from Theodor Herzl’s Judenstaat, Blumenberg states that “in Zionism”, Eichmann “found what he had sought to create by force” (5). He writes that the “extermination was, blasphemous though it may sound, only a variant forced by circumstance of the idea of relocation” (7). He mentions the Madagascar Plan (in which Germany would relocate the Jews of Europe to Madagascar) and Eichmann’s visit to Haifa in October 1937, implying an identity between Nazi and Zionist interests in which extermination became a more practical “remolding of the idea of expulsion” (52) – “a truth simply unbearable for the present generation” (53). The index card on which this paragraph is based is titled “Zionism Taken at Its Word”, suggesting that the Holocaust was a literal translation of the Zionist need “to firm ground under the feet of the Jews” (7). Only after reading Arendt’s name next to the exclamation “What odium!” (53) does it become clear that these sentences are a critical continuation of Arendt’s accusations of Zionism. However, whereas the previous alarming lines remain an elaboration of an Arendtian theme, at the end of his text Blumenberg makes a controversial move. That is to say, he brings Eichmann close to Moses. Nicholls mentions this only in passing, calling it “disorienting and shocking” (Nicholls 2016, 27). It now becomes clear why Blumenberg does not challenge Freud’s claim about Moses being an Egyptian. He needs Freud’s analysis in order to suggest that, “like Moses”, Eichmann had to “be killed” (5). This enfolding of Eichmann onto Moses forwards the claim that “[s]ome states are founded by their enemies” (5). Blumenberg draws this controversial similarity in “the irrealis mood” (11), imagining what Freud would have thought of the Eichmann trial. As Blumenberg writes, Freud “would have immediately recognized […] the mythical dimension of killing the negative hero of the state” (11). He continues: “Freud would, one hardly dares to think it, have projected onto Moses the Egyptian, who was barred from setting foot in the Promised Land, the monstrosity of Adolf Eichmann, whose ashes were more than that very country could bear” (12). Despite the veil of the subjunctive and an appeal to Freud’s logic, it is Blumenberg who makes the association. He even reads the scattering of Eichmann’s ashes over the Mediterranean Sea as “a last act of diaspora in the literal sense” (54). This demonstrates how seriously he understood Eichmann as the negative founder of Israel, an understanding completely in line with Freud’s analysis of an Egyptian Moses as the murdered “cultural hero” (4). This highly provocative parallel and finishing note, which ‘one hardly dares to think’, blurs the understanding of Blumenberg’s “Moses the Egyptian”. In light of this conclusion, one wonders whether the text can be read as a defense of “the role played by the Eichmann trial in the formation of Israel’s national identity” (Nicholls 2016, 27). “As Freud took Moses the man from his people, so Hannah Arendt took Adolf Eichmann from the State of Israel” (5), Blumenberg writes as a critique; however, in the conclusion, he establishes an intrinsic and controversial connection between the two. Yet Blumenberg did not publish this text during his lifetime. Nicholls may be right when he concludes that “Blumenberg appears to have written ‘Moses der Ägypter’ primarily for himself” (33). Perhaps “this most personal of texts” is indeed “merely a case of private ‘working-through’ (durcharbeiten)” (Nicholls 2016, 32). 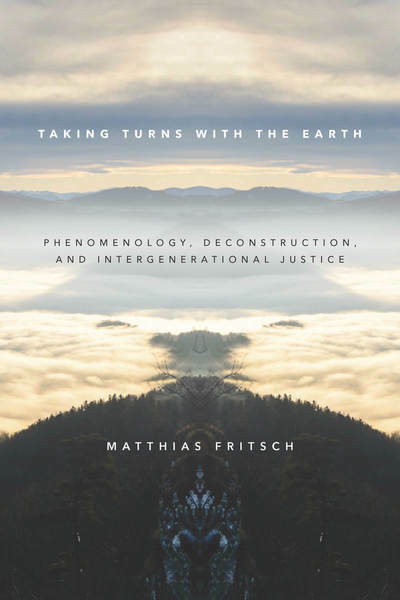 However, I would suggest another conclusion, in which his choice not to publish the text is an important element of his central argument and becomes a symbolic stroke in which he moves away from the rigorism he criticized in Freud and Arendt. In the beginning of the text he writes: “In my turn prepared to court indignation, I am aghast at the deep-rooted similarities between Moses and Monotheism and Eichmann in Jerusalem” (5). At this point in the text it remains unclear how deep-rooted in the heart of Jewish history Blumenberg saw these similarities. Nonetheless, the first part of the sentence clearly indicates an outward intent on Blumenberg’s part to be willing to face possible outrage, as did Freud and Arendt. 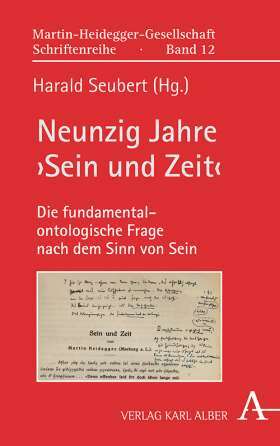 On February 10, 1988, however, Blumenberg wrote to Henning Ritter that for “many years”, he had “an essay, ‘Moses der Ägypter,’ under lock and key, which brings together the monstrous behind-the-back connivings [Hinterrücklichkeiten] of Freud and Arendt. Essentially, it was only my consideration for Hans Jonas that prevented me from allowing anybody to read it.” Rather than being a document of personal working-through, it seems that Blumenberg re-enforces his argument against Freud and Arendt’s rigorism, by abandoning his own truth in favor of Hans Jonas – a mutual friend of Arendt and Blumenberg. Just like Freud and Arendt, Blumenberg made a controversial analysis and, like them, he recognized the potential for indignation. However, in contrast to Freud and Arendt, who, according to Blumenberg, could not keep their own truths for themselves by being mindful of an entire people in a precarious situation, for Blumenberg one friend sufficed to give up his own quest for truth. Thus, this posthumous publication shows that Blumenberg not only payed serious philosophical attention to symbolic dimensions of human existence, but also acted in accordance with it. Angus Nicholls, “Hans Blumenberg on Political Myth: Recent Publications from the Nachlass,” Iyyun: The Jerusalem Philosophical Quarterly 65, (January 2016): 3 – 33. Felix Heidenreich, “Political Aspects in Hans Blumenberg’s Philosophy,” Revista de Filosofia Aurora 27, no. 41 (2015): 523 – 539. Hannes Bajohr, “Der Preis der Wahrheit. Hans Blumenberg über Hannah Arendts »Eichmann in Jerusalem«,” Merkur 69, no. 792 (May 2015): 52 – 59. Hans Blumenberg to Henning Ritter, 10 February 1988, Deutsches Literaturarchiv Marbach, quoted in Hannes Bajohr, “Der Preis der Wahrheit: Hans Blumenberg über Hannah Arendts Eichmann in Jerusalem,“ Merkur 69 (2015) 5: 57. See aslo Nicholls, 32-3 and Heidenreich, 533.